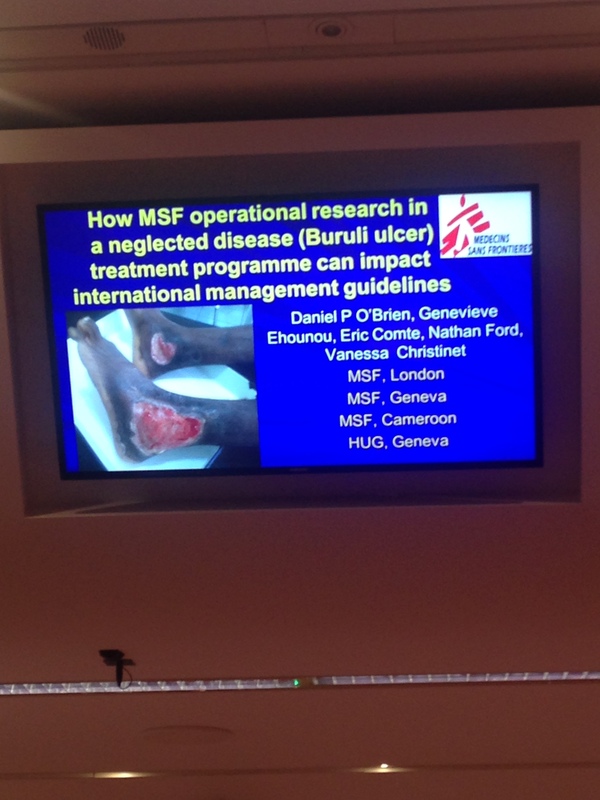 This year the MSF Scientific Day opened with a question that could have shut the whole thing down. But what else could they do? 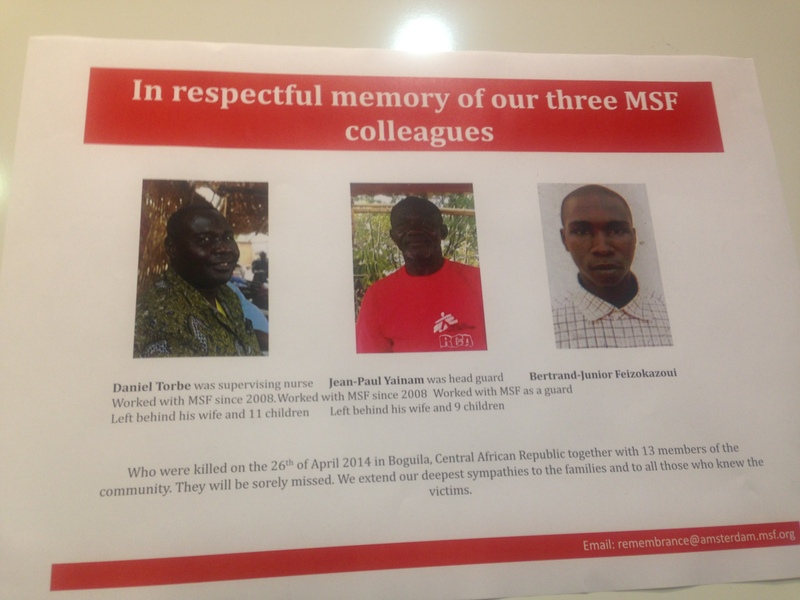 It’s the 20th anniversary of the Rwandan Genocide, when MSF concluded that “you can’t stop genocide with doctors.” The current situation in Central African Republic (CAR), Syria and Somalia is devastating, with MSF losing colleagues and in some cases having to pull back for the first time in 22 years. How do you stand in these shadows and talk about humanitarian aid without asking the question: how far has it really moved since then? New methods, and age-old priorities. If last year’s conference put the spotlight on measurement (from Hans Rosling‘s great table height) the focus this year seemed to be on the faces and the hearts behind it. 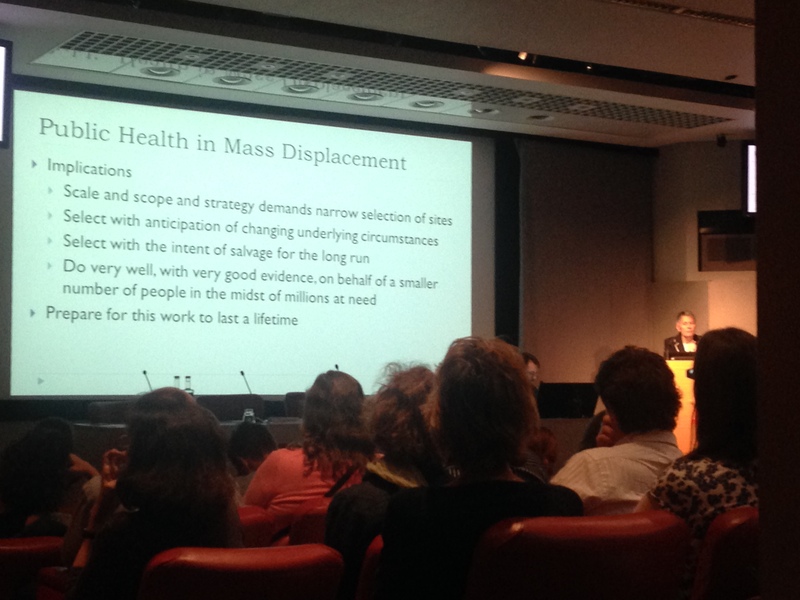 Keynote speaker Jennifer Leaning, director of the FXB Center for Health and Human Rights in Boston, gave a powerful talk about the role of evidence in humanitarian decision-making, challenging the audience to put humanity at the centre of it. 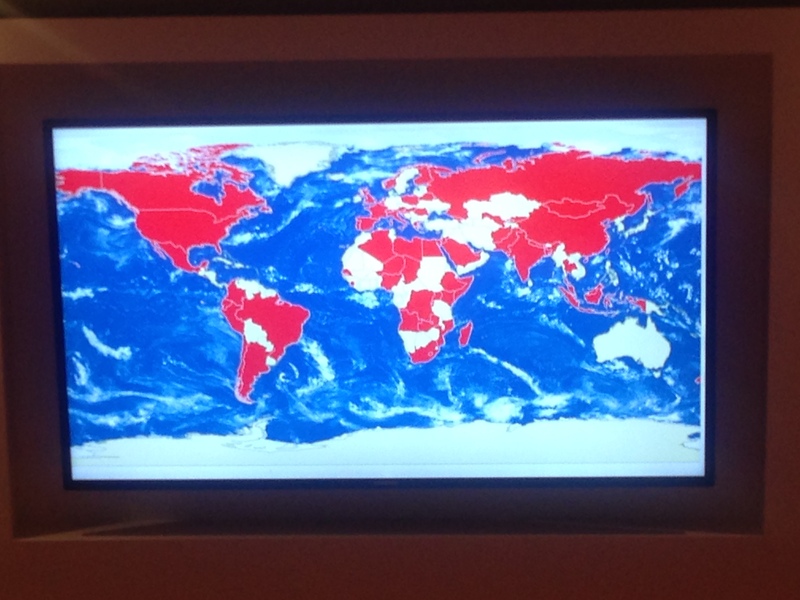 With presentations on subjects ranging from “health services for survivors of sexual and gender-based violence in Papua New Guinea” to “tech solutions for understanding the who, what and where of the needs of populations in crisis,” panelists regularly concluding with thanks to their colleagues still on the ground and more than 2000 viewers watching online across 108 countries, there was a strong sense of wanting to make the day more than an echo chamber for clean data. Because publications in size 12 font may keep the stories straight, but there’s a lot more to be said – and learned – from breaking silos. Take the Buruli ulcer, an infectious disease that can damage right through to the bone, and is present in countries where HIV is prevalent. How do the two conditions interact? How does this shape international guidelines? Why were hiccups more frequent during hospital stay for Bundibugyo Ebola virus than self-reported at admission? What do we learn when we distinguish between food security and nutrition security? Nothing is in a vacuum, and again and again we put our hope in the equation that the more questions we ask, the better our questions get, and the closer we get to answers. 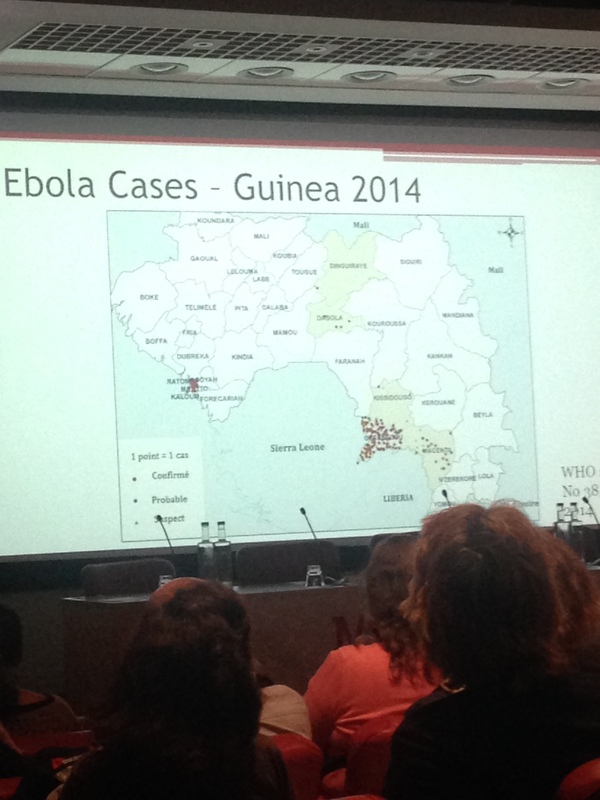 Like a late-breaking session on how to deal with the current Ebola outbreak, the 6th (or 4th) largest on record. “Epidemics,” said the German polymath Rudolf Virchow “resemble great warning signs.” He was talking about the typhus outbreak in 1948, but Jennifer Learning quoted him in her keynote, marvelling, as she has done before, at the prescience and the relevance. Nothing in a vacuum. Which means that epidemics aren’t just outbreaks of disease – they’re indicators, breakdowns of systems, epidemics of lost control, as Marc Biot found in his baseline survey monitoring drug stock outs of HIV medicines in South Africa. An acute crisis in the Eastern Cape in late 2013 caused one of the depot systems to collapse entirely. “We had to find out if it was a single case or an outbreak,” he explained, of the systematic research that has resulted in joint consultation and the first public-private partnership to create a national Stop Stock Outs Project. Philipp du Cros, head of MSF’s research arm the Manson Unit, stood up to bring the day to a close. The only way to conclude a day of so much information and controlled emotion was with a recapitulation – and a reaffirming. The difficult questions need answering, and the imperatives bear repeating. 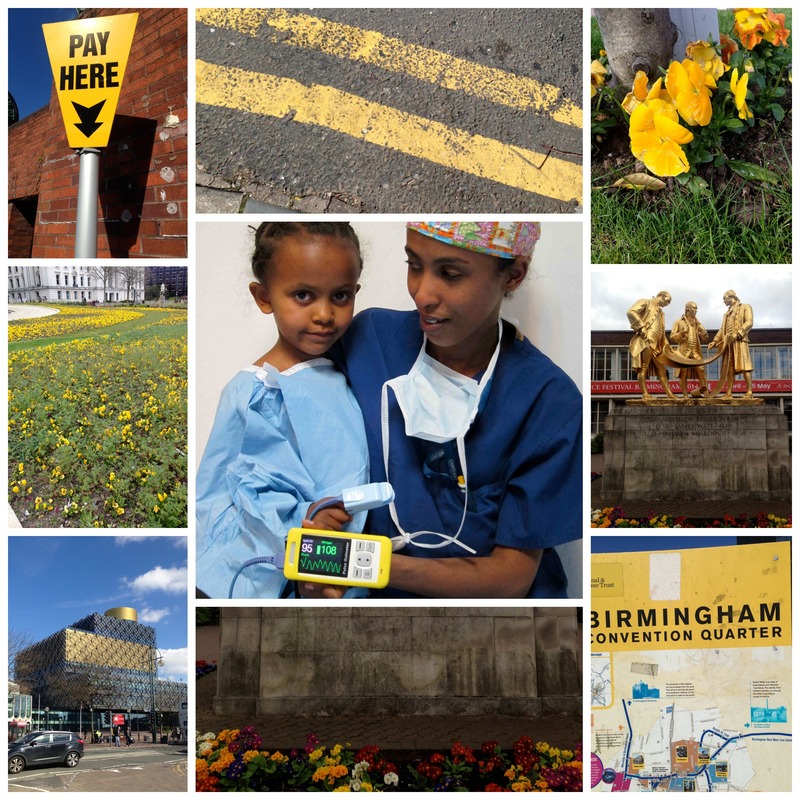 Maybe we’re biased, but we feel a real affinity with the colour yellow. So we were predisposed to like Rotary, and that’s before you factor in the amazing work they’ve been helping us with over the last year! As we wrote in the April issue of Rotary Today (you can read a copy here), Rotarians around the world from Yorkshire to Benin have been rolling up their sleeves to help us make surgery safer in low-resource countries. 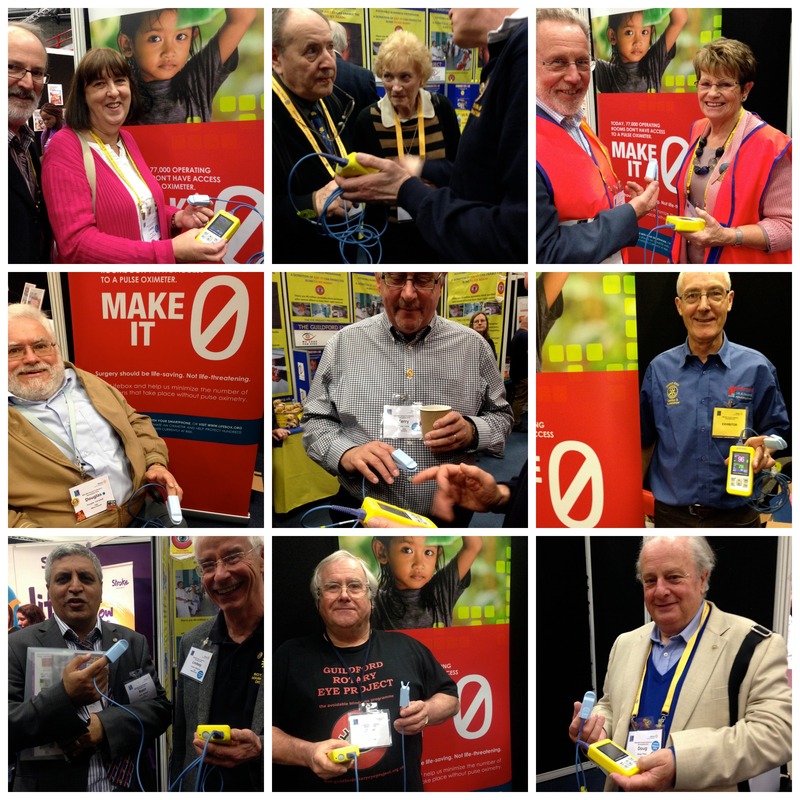 In the last year, with their help, we’ve been able to supply many more pulse oximeters and training programmes to healthcare workers in low-resource settings. Of course we know we’re not the only ones who have been busy. 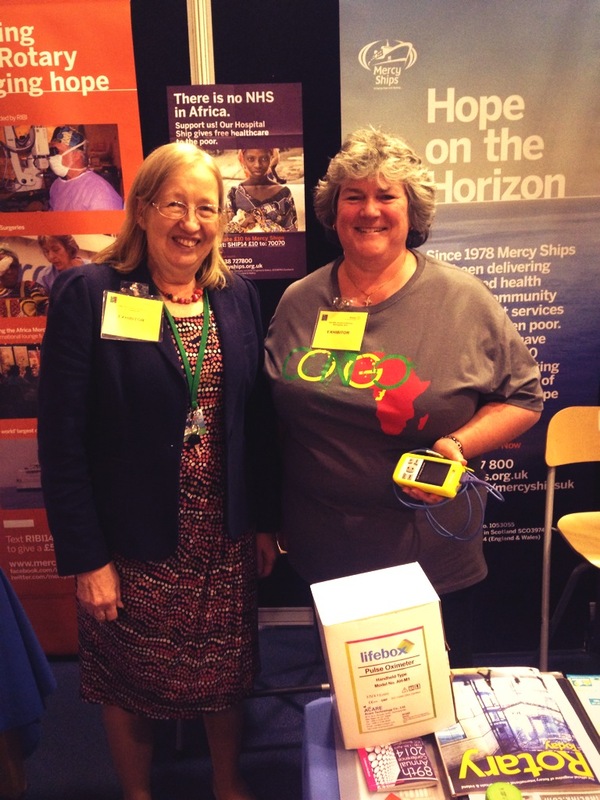 Last year in Harrogate we learned about the amazing global range of projects that Rotary clubs lead. 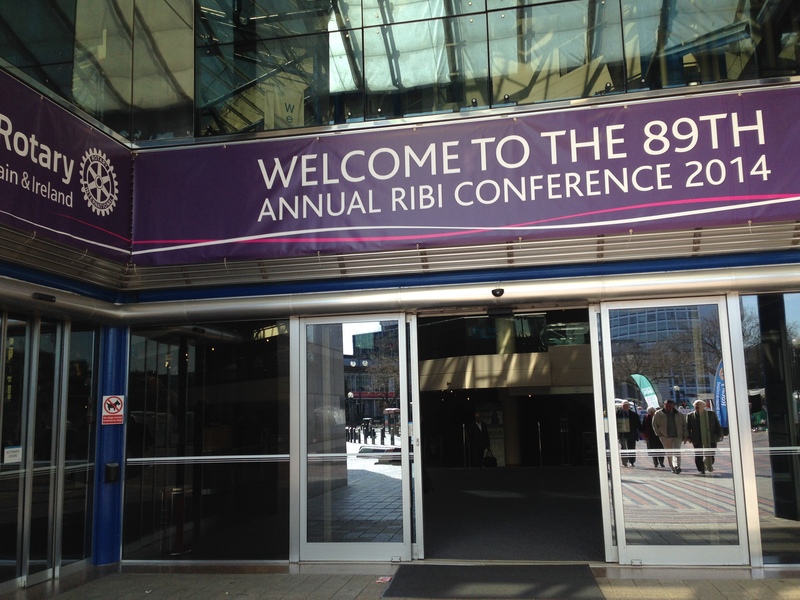 So this year we followed the wheel to Birmingham, and the 89th Annual Rotary International Great Britain and Ireland (RIBI) Conference – to share our news, and catch up with members, projects and old friends! Sure enough, we were soon joined by new friends Barbara and Lindsay Bashford, whose son Tom Bashford was a medical VSO volunteer in Ethiopia two years ago. Is surgery in low-resource settings really so unsafe? Tom recalls a nurse asking him for advice on “how to wake up patients who have not recovered from their anaesthetic after one or two days” – patients who, he knew, would never properly ‘wake up’ and recover from the permanent damage they’d sustained during the operation, caused by loss of oxygen. 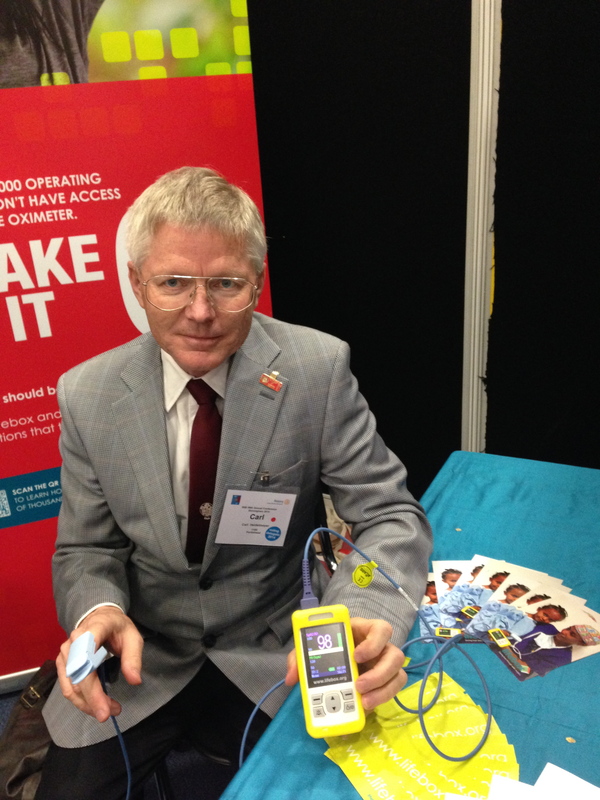 He worked with the surgical team at a hospital to introduce the WHO Surgical Safety Checklist, the life-saving communications tool that is a vital component of Lifebox programmes. 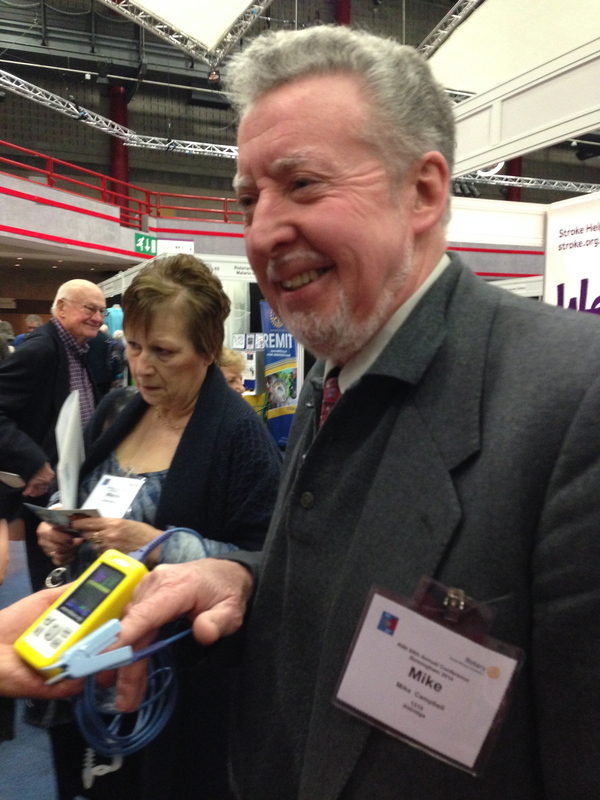 And later that year Barbara and Lindsay’s club, the Rotary Club of Market Drayton, raised funds to send pulse oximeters to him at the hospital – ensuring that future patients would be more safely monitored. 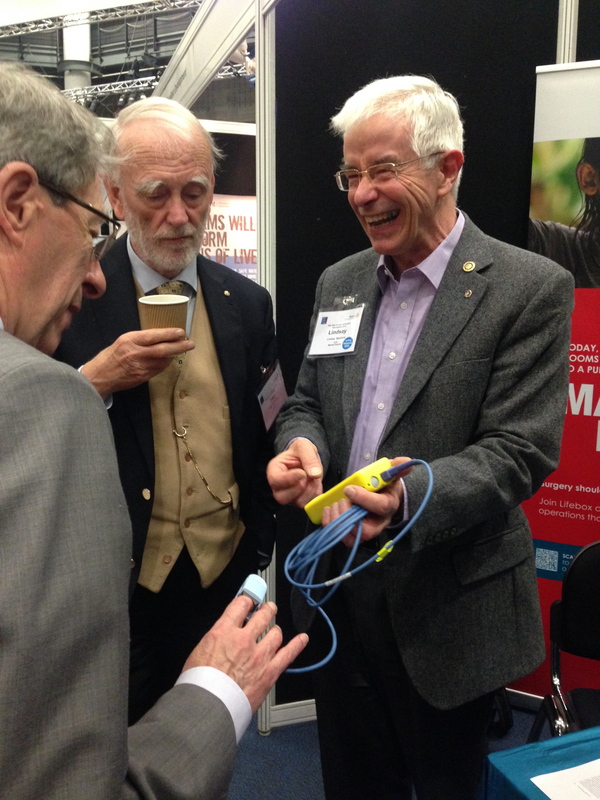 Before they knew it, passing Rotarians were finding themselves monitored too. Soon everyone wanted to know their blood oxygen saturation. 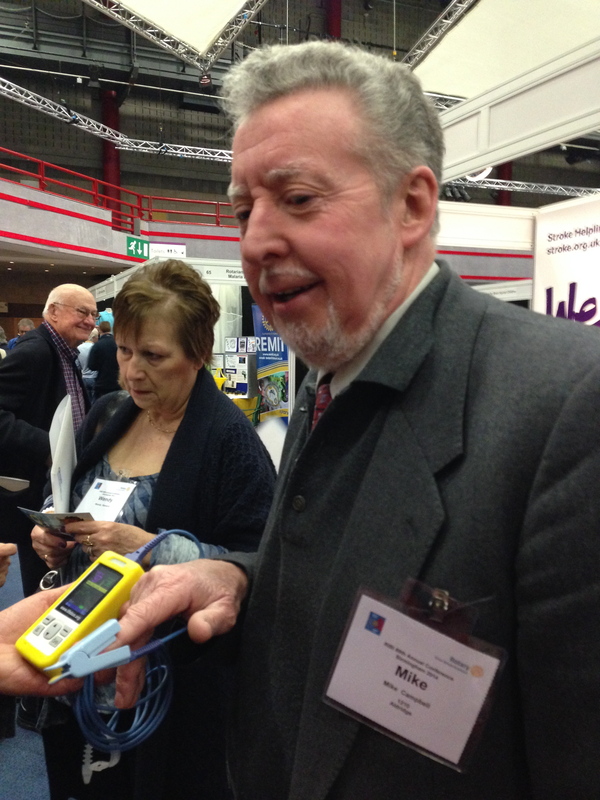 Pulse oximetry isn’t just life-affirming – it’s life-saving. A pulse oximeter is the most important piece of monitoring equipment in modern anaesthesia, essential for making it safe (risk of death from anaesthesia in the U.K.: 1 in 200,000) rather than desperately unsafe (risk of death from anaesthesia in West Africa: as high as 1 in 133). But it’s missing from more that 70,000 operating rooms worldwide and so every day, essential operations – emergency Caesarean sections, trauma repair – take place with the surgical team effectively flying blind. Lifebox distributes this vital equipment to hospitals in need, and in the last three years we’ve sent out more than 7000 across 90 countries. But for the first time in history, more people are dying from surgically-treatable conditions than from infectious diseases. Global surgery is in crisis. We love the Rotary attitude to getting things done – practical and effective. “We asked what they wanted, needed,” explained David Pope, of the Rotary Club of Abindon Vesper’s work in Uganda, Kenya and Tanzania – real evidence of Rotary’s motto, ‘Service above Self’. 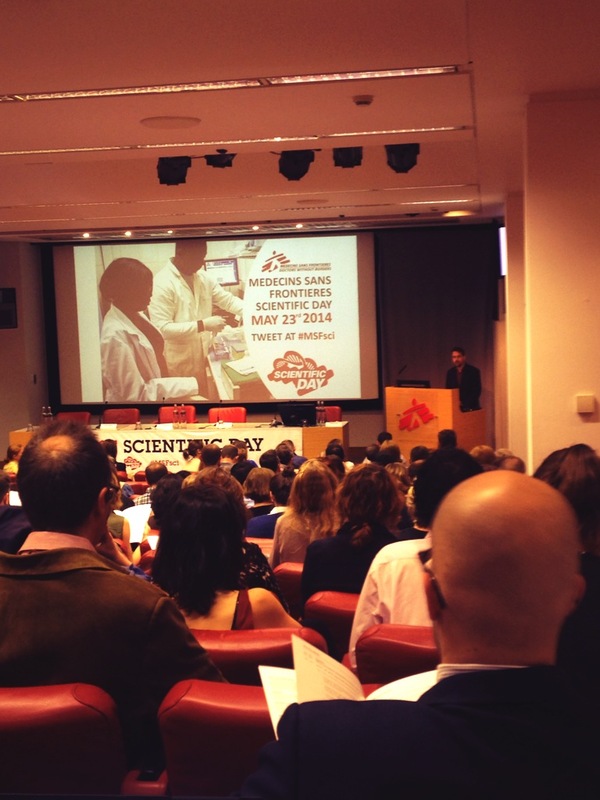 In the week after the RIBI conference, two academic papers were published – one showing the dangers of anaesthesia in low-resource countries, and one showing the long-term impact of Lifebox distribution and training. There has never been a more important time to be practical and effective when it comes to global surgery. Please get involved – it’s life-affirming for everyone!